The best way to celebrate New Year’s in the most memorable fashion is by celebrating in a luxurious, foreign location. And no other place gets more opulent and stylish than Dubai. Dubai transforms into party central at New Year’s Eve as many places vie to throw the biggest New Year party. However, it can get confusing as to which party to attend. So, we’ve shortened it down to a few select choices. These parties are the best of the best, and will ensure your New Year’s Eve Celebration 2018 is memorable and legendary. Lucky for you, the dates for the upcoming DSF are 26th December, 2017, to 28th January, 2018. This means, the New Year will fall between the DSF. This also means that were will huge celebrations, events, crazy discounts and more, just for New Year’s Eve. 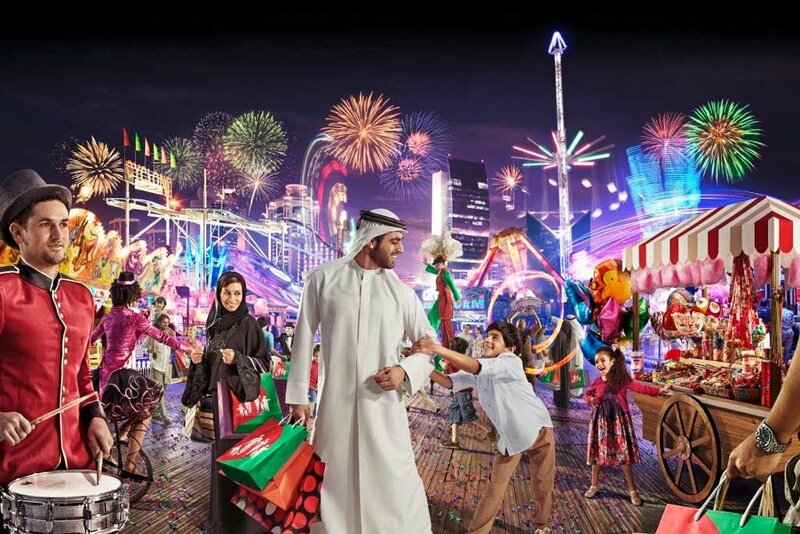 We already know that DSF is a month-long celebration of Dubai being the retail hub of the world, but to attract more crowds, retailers throw parties, arrange for celebrity music shows, and other big events. So, you are guaranteed that this year too, there will be such mega events on New Year’s Eve, and you can choose to go here and spend time, instead of a party. There’s sure to be live music, dance, food and beverages, and the company of beautiful young people. What else do you need? How does New Year’s party at the world’s only 7-star hotel sound? If you like classy parties, with decadent meals, lively entertainment and a magnificent fireworks display then this is the place to be for you. Though it is on the expensive side, the party is completely worth it. At the gala, you are entertained by artists, world-famous musicians and even acrobats performing breathtaking stunts. The entertainment is nonstop. And so are the food and drinks. The multiple meal courses are prepared by the best chefs in the worlds, and the drinks too have been made by world famous mixologists. It promises a dining experience you’ll be talking about for a long time. And finally, when the clock inches towards 12:00, the fireworks display begins to usher you into the New Year. Bringing in the New Year under the stars, surrounded by ultimate luxury is something that will definitely be an awesome way to celebrate New Year. 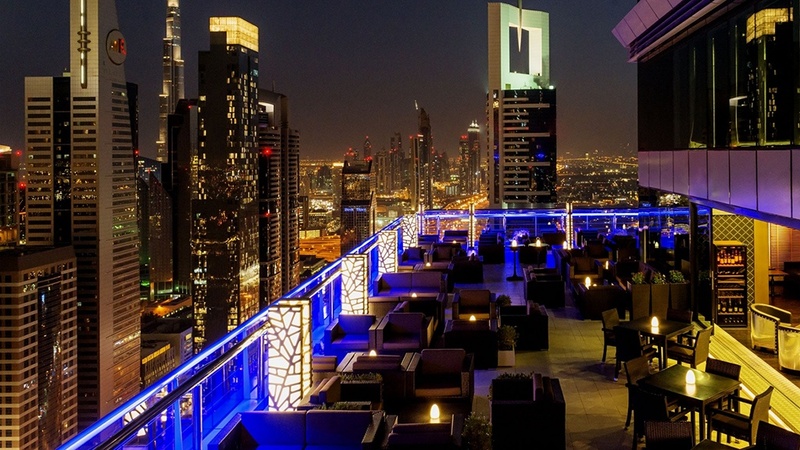 If you are sold on this idea, try the rooftop party at Level 43 in Four Points by Sheraton. 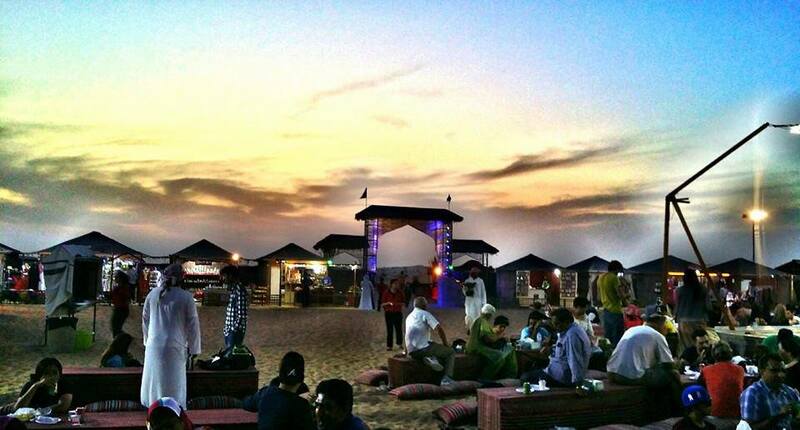 This party is gaining a lot of popularity, and is considered to be in the top 10 parties in Dubai. The rooftop party has an in-house DJ playing the best chartbusters, and popular numbers from different eras, right up till the wee hours. There’s also a lavish feast of different cuisines from around the world. All this is further enhanced with an incomparable view of the city’s skyline. The Level 43 party guarantees to be one of the most memorable ways to bring in the New Year. It is already quite a thrill to visit The Palm Island. This man-made beauty has been the object of admiration for years, so, here’s an opportunity to actually bring in the New Year in a beach party at Atlantis, The Palm. The hotel has its own section of a private beach that turns into party destination. The party starts at 7:30 pm. Yes, you don’t have to wait till late to get into the party mood, just get there and start dancing. The party is well supplemented by food and drinks, made by the chefs at Atlantis, The Palm. And music goes on till the early hours of the New Year. At 12:00, there’s a huge display for fireworks to mark the dawn of the New Year. Now, who wouldn’t want to celebrate New Year’s Eve this way? What’s more awesome is that you can buy party packages for friends and family, and enjoy it with all. Tired of noisy parties? Looking for something different? Here it is. Bring in the New Year at Bab Al Shams’ Al Hadheerah Restaurant in the desert. This luxury desert resort has been hosting an exclusive New Year’s party that has become the place to be for people looking for a unique New Year’s celebration. Instead of loud EDM, you are serenaded with traditional Arabic music, and entertained with exciting horse and camel shows. The food too is a lavish spread of Arabic delicacies. This is a great place to enjoy company and chat away till the sun comes up. Now, this is a party for matured, fun loving people who prefer the company of loved ones for a special occasion like New Year. Spend your New Year in Dubai – it will guaranteed be the best start to a new year in your life.